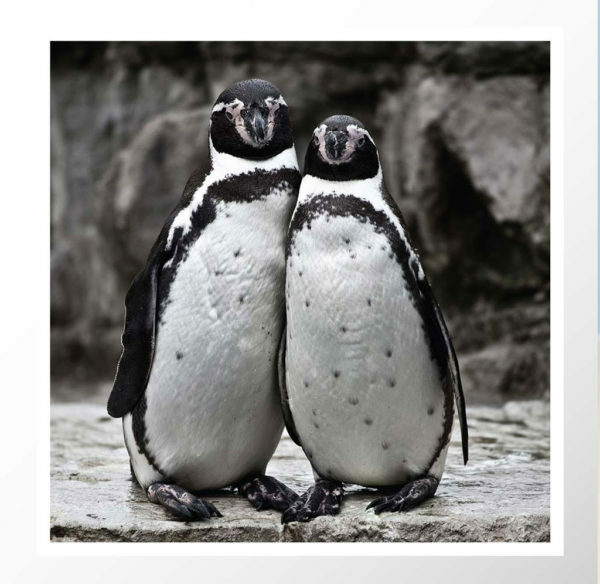 Penguin couple photo notecard, features a cute pair of Humboldt penguins posing for a photo. 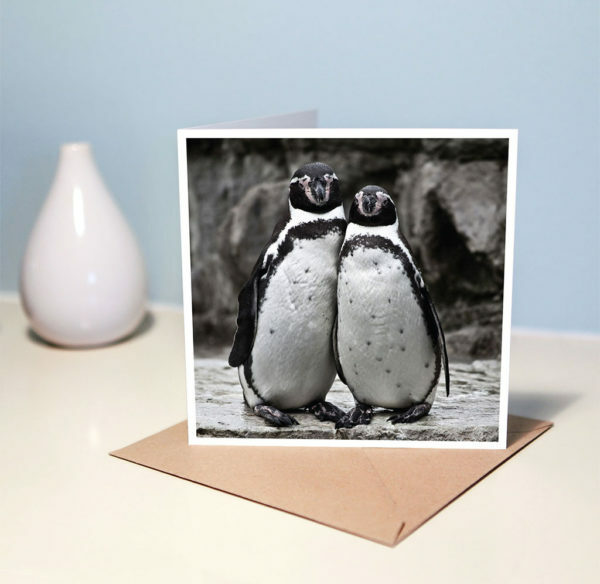 Animal photography notecard suitable for both men and women to celebrate any occasion – including valentines day! A square card, folded on the left side edge. 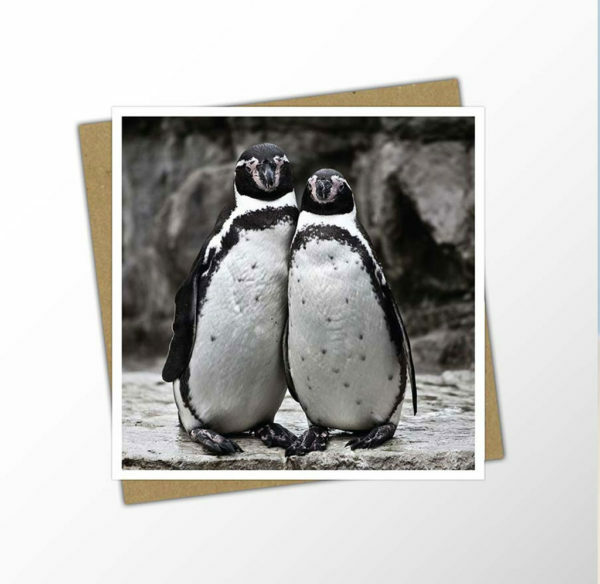 Left blank inside for you to hand write your own message.